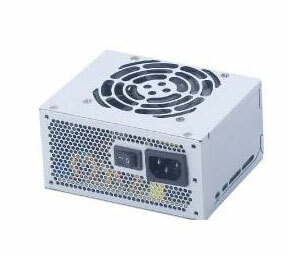 FSP300-60GHS(80) MICRO ATX/ SFX 12V, 300-WATT POWER SUPPLY UNIT is designed to fit most compact small form factor PC systems with high-power output in mind and is certified to perform over 80% in operating efficiency. Power specification is fully compatible to Intel and AMD power CPU and standard PC configurations. Design, minimum efficiency and output performance are certified by Intel Mt. Jade specification requirement. It features true 300-WATT power output and 80mm cooling fan with thermal sensing technology. It is an excellent choice for compact, small form factor systems integration that demands higher power output requirement. FSP Quality Assurance Program, a manufacturer’s direct service guarantees quality and performance for a period of 1-Year, included. All FSP OEM models are qualified for RoHS, Lead-Free, Green Product (G.P) global environmental friendly status.